I am really getting to know Portland’s (and Vancouver’s!) Park system this summer, as I photograph families in their favorite places around the metro area. I generally like to arrive 45 minutes early to get a feel for a new park setting, and photograph small details that make a location unique. That was my plan when I met up with Laney and Benjamin’s family. As I walked around the vast park, planning out shots and capturing small details, I made my way to the far side to capture the “Rose City Park” sign. Except, as I walked up to the sign, with about 5 minutes prior to start time, the sign read “Normandale Park”. Oh dear! I sprinted through the park, frantically asking passersby for directions to the actual park, and finally was pointed in the right direction. Thankfully I was only about six blocks off. Needless to say, there are no “park detail” shots (at least from the real Rose City Park) to speak of. 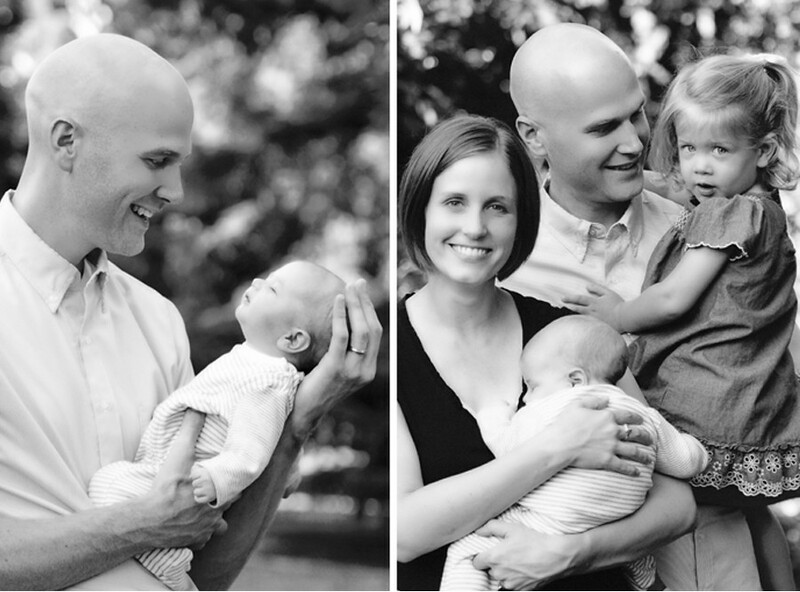 That’s okay though, because there are plenty of adorable shots of this awesome family. Seriously, when will my streak of ridiculously gorgeous and photogenic families end? Beautiful Benjamin slept through most of the shoot, and big sister Laney, who happens to never stop moving, managed to photograph beautifully, even on the go. I sure love this job!